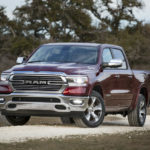 Everything is bigger in Texas, including this BIG news – the All-New 2019 Ram 1500 has been named Truck of Texas for 2018. 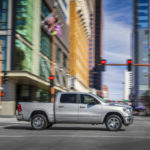 While the honor is a very bright feather in the cap for FCA, it was not the only one earned at this year’s Texas Truck Rodeo, a prestigious event hosted annually by the Texas Automotive Writers Association (TAWA). 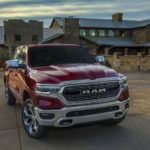 Other FCA vehicles picking up TAWA awards this year were there 2019 Maserati Levante GTS (SUV of Texas), the 2018 Alfa Romeo Stelvio Quadrifoglio (CUV of Texas), the Dodge Durango SRT® and several Jeep® Brand Vehicles. Collectively, FCA secured 15 of 24 awards, more than any other manufacturer. 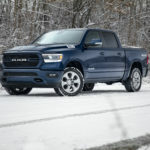 A total of 57 pickups, SUVs, crossovers and commercial vehicles were entered in the competition. The 69 TAWA members in attendance cast their votes after two days of on- and off-road vehicle evaluations. 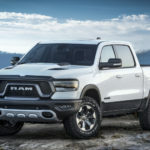 Consideration was given to everything from exterior/interior styling and off-road capability to the entrant’s overall utility, value and performance. This year’s Rodeo was especially challenging with muddy conditions and wet roads – an environment in which FCA vehicles particularly excel. 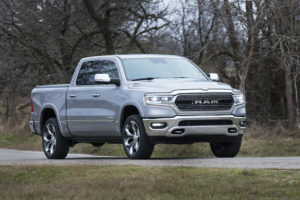 Visit a Chrysler, Dodge, Jeep, Ram, FIAT®, Alfa Romeo or Maserati dealership near you for more information on FCA’s lineup of award-winning vehicles.